UNSW Galleries at UNSW Art & Design campus. Photo by Britta Campion. 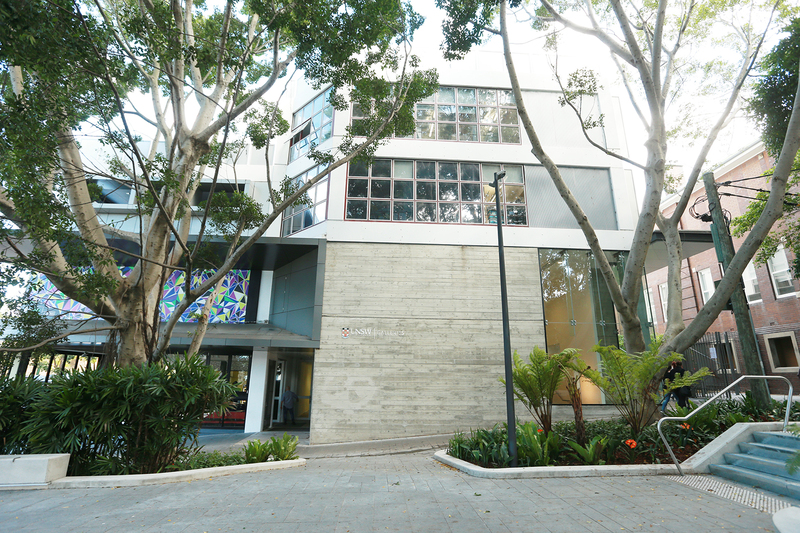 Located on the UNSW Paddington campus, the recently established UNSW Galleries present a program of changing exhibitions and projects exploring recent ideas and research in art and design, creativity and culture, science and technology. Spanning three separate exhibition spaces encompassing almost 900 square metres UNSW Galleries are a platform for experimental curatorial research and practice, staging transformative exhibitions that advance new modes of cultural production and engagement. More like living creative laboratories than traditional exhibition spaces, UNSW Galleries encourages visitors to participate in a wide range of interactive public programs including discussions, performances and screenings. As part of its dynamic program, UNSW Galleries develops projects, workshops and events in association with the National Institute for Experimental Arts.